it may not look like it but if your skin is full of oils, sweat and cream it will make it difficult for the wax to adhere to the hairs. Over and above this, not cleaning your skin before waxing may cause an infection; waxing can open the pores. If there is any skin tearing and tiny wounds present, bacteria can creep in and cause an infection. Make sure to apply a good pre-wax product to ensure that the skin is perfectly clean and prepared for the waxing application. Trimming the hair too short or not waiting for it to grow long enough will seriously impact the quality of your waxing session. 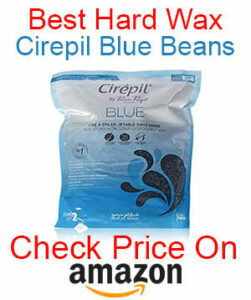 Hot wax beans need about 6mm of hair to grip to so that you can enjoy a smooth wax. If the hair is too short, the wax won’t grip it and the hair won’t be removed from the follicle. Keep this in mind if you are wondering when you can wax an area again or if you need to trim the hairs on an area slightly. on the complete flip side of the previous point, waiting too long before waxing an area can make for an unsuccessful wax as well. If the hair is too long, when removing the wax the hairs can break off which is not an ideal situation. If possible, please try to stick to the 6mm rule as far as possible. Hard wax should be applied in the direction of hair growth and then removed in opposite directions. Doing this promotes smooth and long-lasting hair removal. Take a minute before application to check which way your hair grows so that you know how to apply wax and get a silky smooth skin. it is so important to hold the skin taut when waxing – this helps to prevent any unnecessary pulling and tugging at the skin as well as any bruising. It also really helps to make the waxing a lot less painful. Melting hot wax is not rocket science, but you have to be careful not to overheat the wax or bring it to boil. That can be avoided by using a good warmer or a wax that comes as part of a kit. It can seriously hurt your skin if you apply wax that is way too hot. Always make sure the wax is at the correct temperature before applying it to your skin! It will help if you get a dedicated wax melter and find the best waxing beans you can follow the link! Have you spotted any mistakes that you may be making? If so, I’d love to hear about them in the comments below!